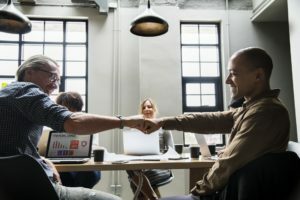 Where does company culture come from? That’s a more complicated question than you might think. My personal belief is that culture emanates largely from the people on your team—from their shared values and objectives. With that said, I also think team leaders play a significant role in shaping and codifying that culture. So what happens when your team leader leaves? Can the remaining employees keep that spark of culture alive? I believe that they can—and here are some suggestions for how. Look back to your statements of purpose. One thing the team can do together is to use the departure of a leader as an excuse to review their core values. Do you have a mission statement? A written document that outlines your values? Take some time to remind yourself of what those documents say. Focus on communication. If you’re in a position of leadership or management, communicate with the people who report to you. Remind them of your company’s values and commit to doubling down on them even during a season of change. Talk about anxieties. You and your team members may have some concerns about the long-term fate of your culture. Talk through those anxieties and see if you can come up with some practical ways to safeguard your shared values. It all comes back to communication! Connect with your customers. Sometimes, talking with your customers and clients is a good way to remind yourself of what your values are—and of why you committed to them in the first place! Remember your role in shaping culture. Finally, just remind yourself that culture doesn’t emanate from any one leader; you and your team members create the culture together through your everyday decisions and priorities. The power to preserve your culture ultimately lies with you! Don’t give up on your culture, even during a period of transition. Use these tips to maintain your team’s values. And if you have any questions about how you can maintain culture, reach out to Dr. Rick directly! Connect with Dr. Rick at www.rickgoodman.com or call 888-267-6098.